Eva and Eleni Ward from Shrewsbury came face to face with a larger-than-life-sized Knight today as a taster of Shrewsbury’s Games in the Square event taking place from Monday Bank Holiday (27.8.18) for three days. The Square is due to be transformed by Shrewsbury BID with grass, picket fencing, deck chairs and a host of giant games for families to enjoy the last of the summer holidays here in the town centre. 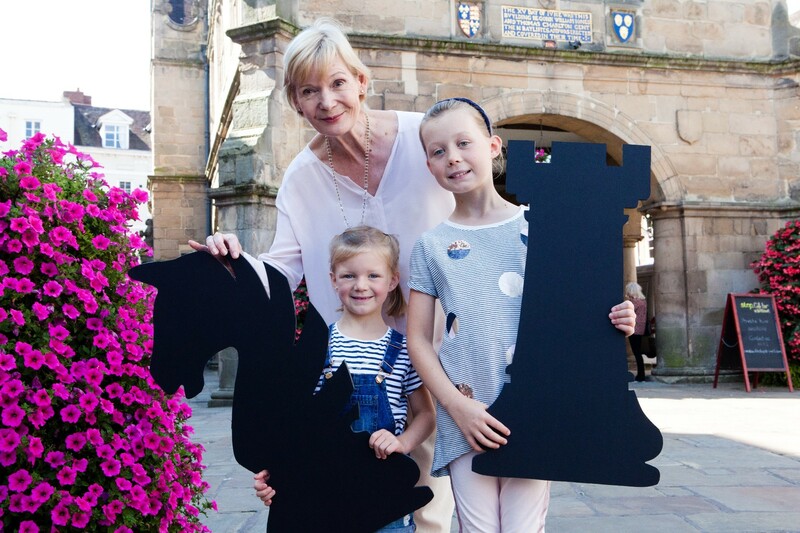 The games will include giant chess, tumble tower, connect4, and quoits, with an equally large draughts board located in The Museum and Art Gallery Courtyard. The giant games are part of the Original Shrewsbury series of events being staged within the town brought to life by Shrewsbury BID. The games are free for everyone to enjoy from 11 am on Monday 27th August until 4pm Wednesday 29th.